We are happy to introduce you to the next-generation marketplace of digital solutions aimed at the Magento platform. Magento Marketplace is a place where you can get a curated selection of the most reliable solutions, designed to improve your ecommerce business. As for developers, it also offers a lot of new benefits and opportunities, but they are described in another guide – Magento Marketplace Developer Guide. 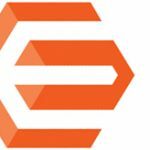 In this article, we will explore Magento Marketplace from the perspective of ecommerce merchants. 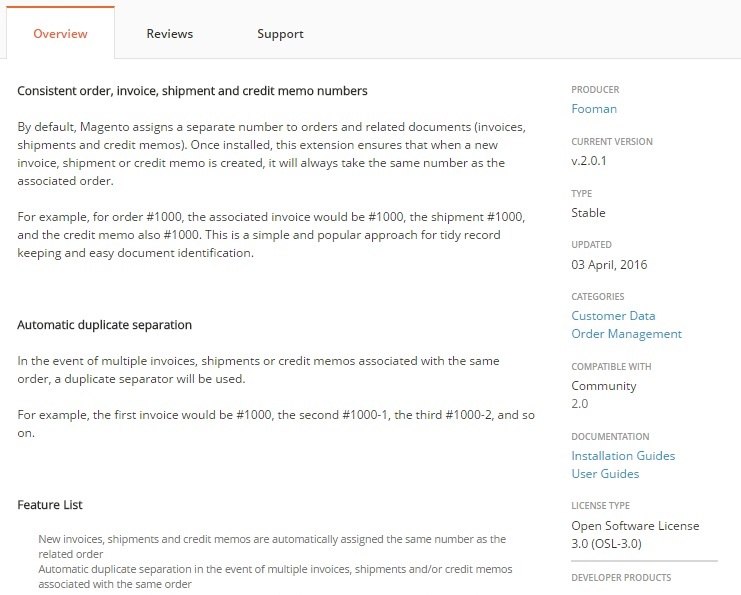 All products available on Magento Marketplace support both Enterprise and Community editions of Magento 1.x and 2.x. As for themes, they offer a combination of various custom design aspects, such as layouts, templates, styles, and images. 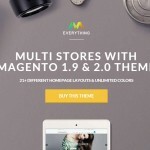 Themes are utilized for providing a unique visual design for an ecommerce storefront. They can be used for customizing the appearance of both the entire storefront and the admin interface. Some themes can be applied to specific pages only. 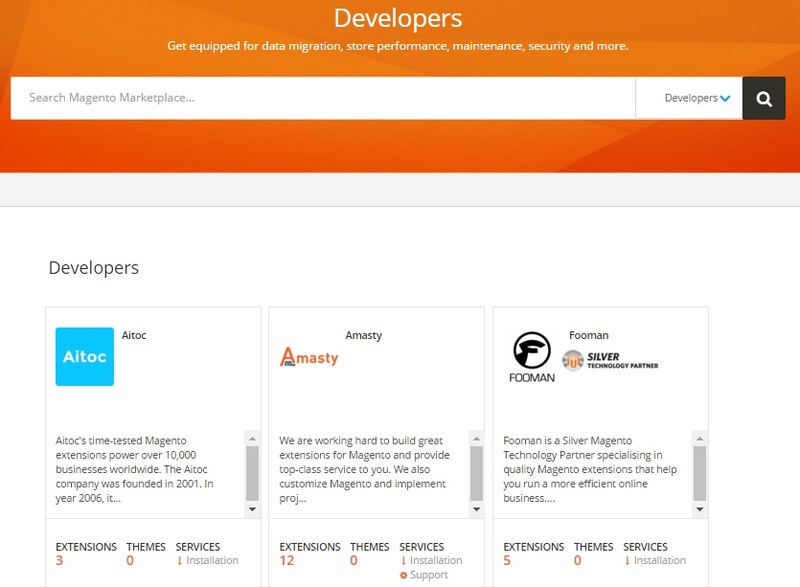 Now, when you understand the content of Magento Marketplace, we can start a our journey across the whole platform. 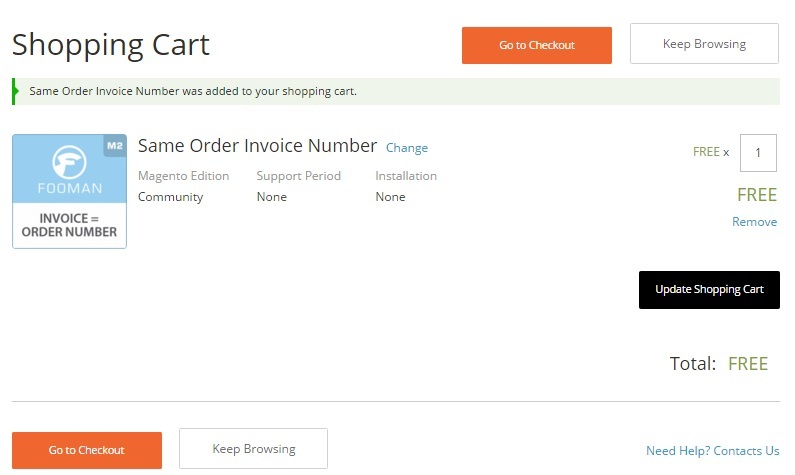 1 First Steps on Magento Marketplace! First Steps on Magento Marketplace! 1. Go to Magento Marketplace. 3. The section situated below is called Featured Partner Extensions. The same tip about the pagination control should be mentioned once again. 4. By scroll down even further, you will see Featured Developers. Don’t forget about the pagination control. 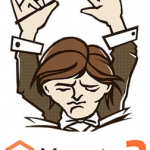 You can notice that there are badges illustrating a developer’s level of participation with Magento. 5. 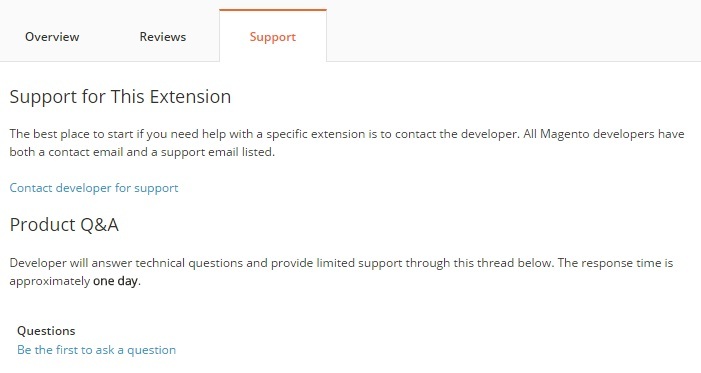 To get more information about each developer of extension just click over its name. 6. If you are looking at the developer’s page, you can see two tabs there: Extensions and Themes. Both list all the products currently offered by the developer. By tapping the image, you will learn more about the product..
After running through the aforementioned steps, a list of modules appears displaying titles, images, brief descriptions, popularity scores and ratings, prices, and link to further information. 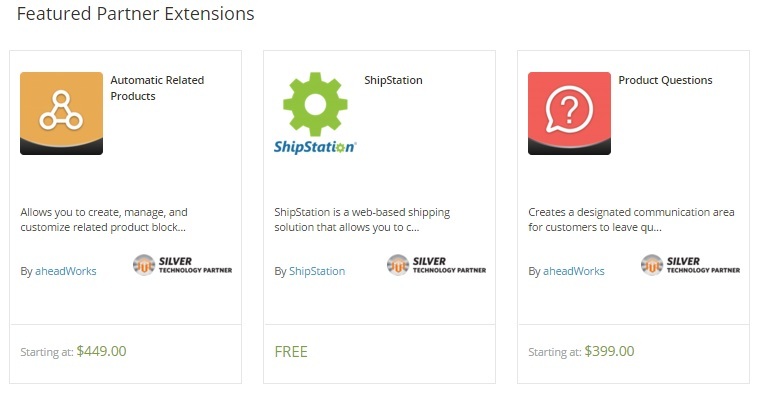 After you’ve found the desired products, you can evaluate each extension or theme. Go to the product detail page where you can see such information as a product summary and its images. Besides, there are two tabs below illustrating additional information. On the Overview tab, the company places a detailed description of its extensions or themes. There is also a right sidebar that contains supporting information. If you are interested in what other customers think about the product, check the Reviews tab. As for the Support tab, it is used for providing access to the appropriate support team. It is possible to use the Q&A form or contact right with the company. 1. Tap the Add to Cart button. 2. Go to your Shopping Cart and proceed to checkout or keep browsing. Use the self explanatory buttons. 3. In case you are not logged into your account, the system will propose you to log in or create a new account. 4. On the Order Review page, you can see the information about your order. No payment information is required for free extensions, but you should enter appropriate data for paid modules. Tap the Place Order button to complete the purchase. 5. Check you mail – a confirmation of the order should be already there. 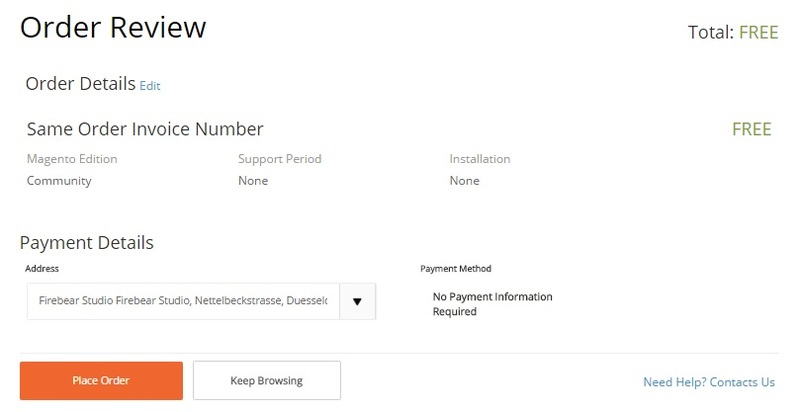 It includes the information about your purchase as well as sends you to installation instructions. 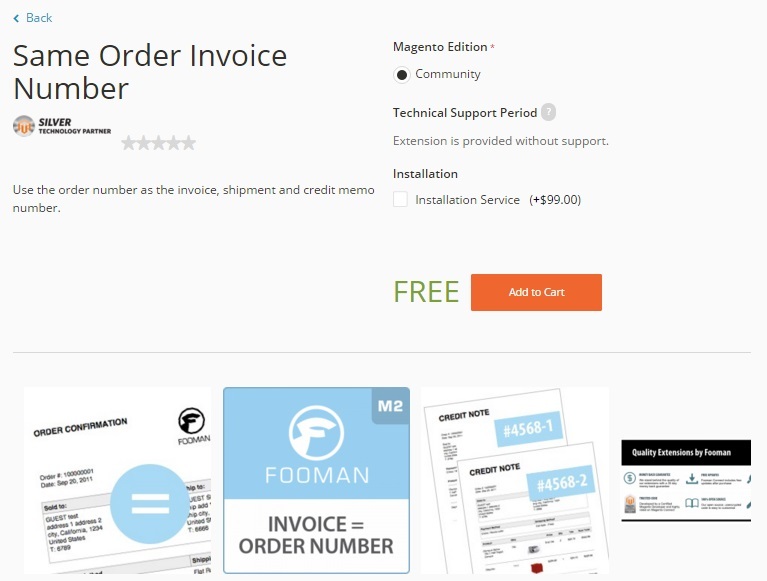 The order confirmation page provides the ability to print a receipt, visit your account, or examine all available downloads. 1. Go to your Order Confirmation page and click Downloads at its top. You should see the “My Downloads” page with all available downloads. 2. You should choose the version of the product if the option is available. 3. Now, tap the Download button. Save the file after a message appears at the bottom of the screen. 4. Go to your account – click My Account at the top of the page. Then, choose you access keys – My Access Keys under My Products. copy paste them to install the extension. 1. 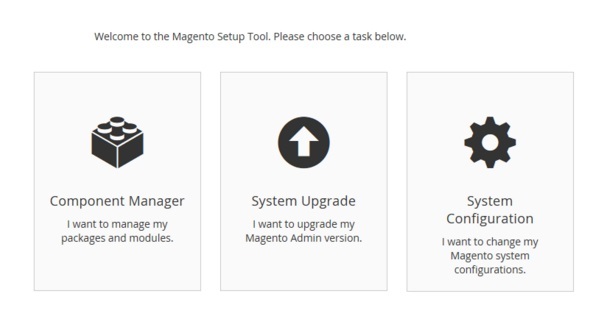 You should be logged in to the Magento admin as a user with full administrator rights. 2. Find the Admin sidebar and tap System there. Under the Tools section, find the Web Setup Wizard option. 3. Now, it is necessary to tap Component Manager and click the Sign In link which is situated in the upper-right corner. 4. You will be prompted to paste the Public Access and Private Access Keys related to your Marketplace account. Sign in with the help of appropriate button. 5. 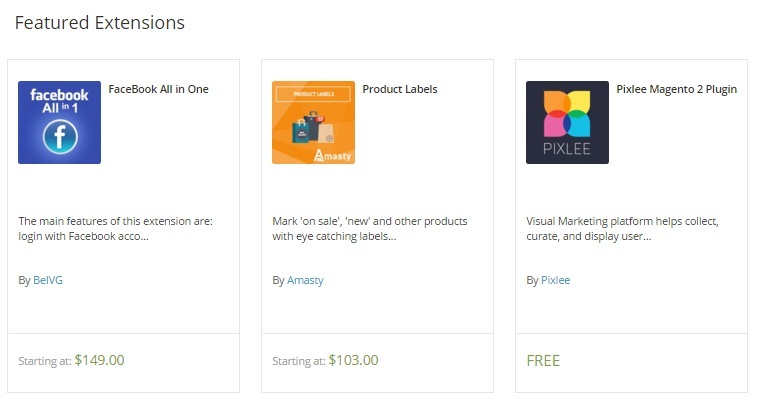 Now, synchronize your Marketplace purchases with Component Manager by tapping Sync. The procedure might take a few minutes, so don’t be afraid that the installation got stuck. Wait while the process is complete and you will see the number of new purchases as well as synchronization data. 6. Go to the Marketplace Purchases section and click Install under New Purchases. 7. You will see Extensions Grid, where you should mark the checkbox of the desired module. Now, you can click the appropriate Install link in the Action column. Below we describe 4 other essential steps you should not avoid. 1. Before installing something, check your store environment for compatibility. To run the process, tap Start Readiness Check. 2. Wait until the process is finished and tap Next. 1. Create a backup. 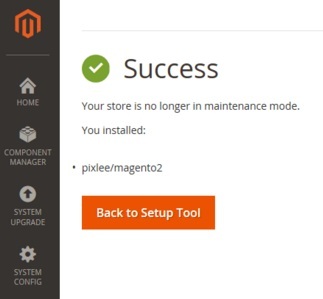 Note that your ecommerce website will be put in maintenance mode for achieving this goal. Tap Create Backup and wait a few minutes for the process to be complete. 2. The path to the backup file is listed at the bottom of the report. Tap Next, when when everything is done. 1. Tap Install to start the procedure, it will take a few moments to complete. 2. Then, tap Back to Setup Wizard Tool and the System Configuration option. 3. Click the Reset link to log out. The link is situated in the upper-right corner. 1. 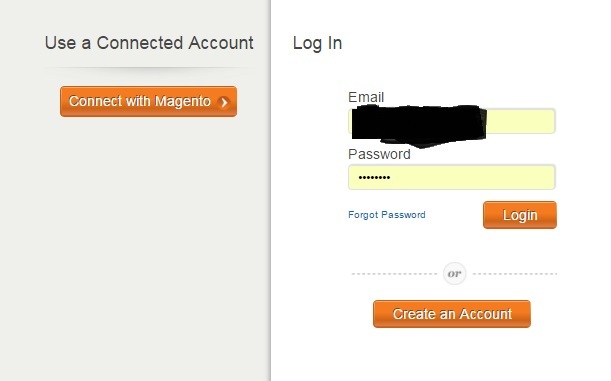 Go to your Magento store and log in as admin. 2. Click Stores, which is situated on the Admin sidebar, and choose Configuration under Settings. 3. The tab of the newly installed extension is situated on the left in the panel. To complete the configuration, follow instructions provided by the extension’s developer. 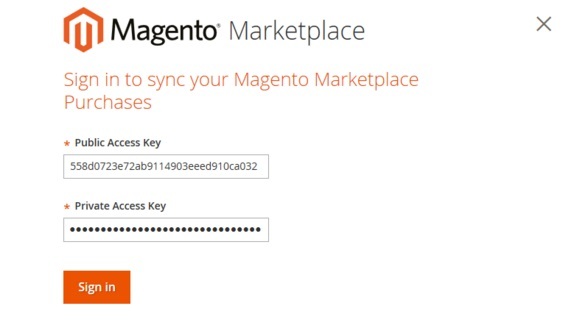 That’s how Magento Marketplace works. As a merchant, you need only the aforementioned guide to master the new website without any help from third party developers. 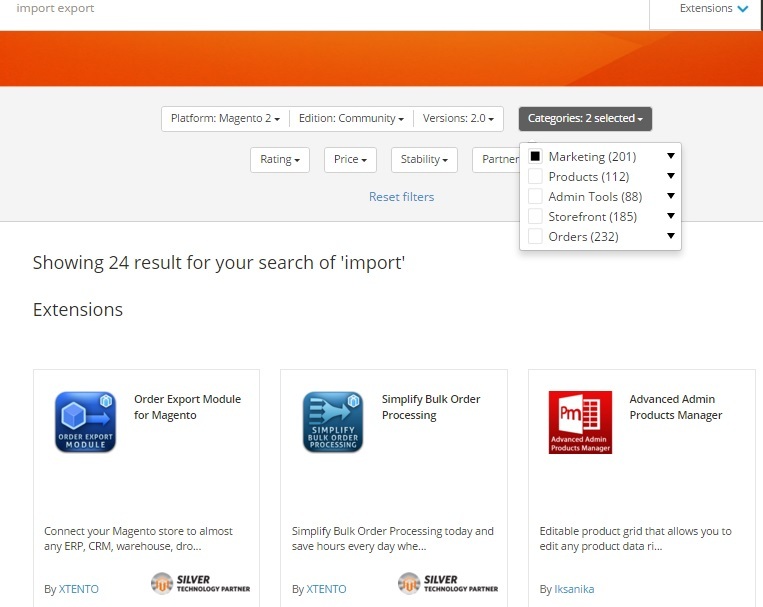 You exploration of Magento Marketplace will be even easier if you already have an experience with Magento Connect. For the official Magento Marketplace User Guide, visit this page: Getting Started with Magento Marketplace.